The rain has been pouring down since 5am this morning and the garden is getting a much needed soaking. The air temperature is 11c which will cool the lakes down a little. This should confuse the tench and carp further about whether to spawn or not. I need to sort my tackle out ready for the week and normally do this in the garden, however at this rate the garage will probably be the location. I have been sitting in the conservatory listening to the rain falling on the roof and looking through some web sites some which I’ve not visited before. One of these is the Avon Roach Project. This is about restocking the Hampshire Avon with roach. I know this project has been ongoing for several years with Budgie Price and Trevor Harrop being the two guy’s who lead the thing. They do have plenty of helpers with some being well known in the angling fraternity. It’s worth looking at the work they are doing year on year. At the bottom of each page for the year is a next arrow that shows many more photo’s and comments. As an angler who fishes this beautiful river I take my hat off to them for this hard work. The site is well worth a look. Another website worth a look is the Avon diary. 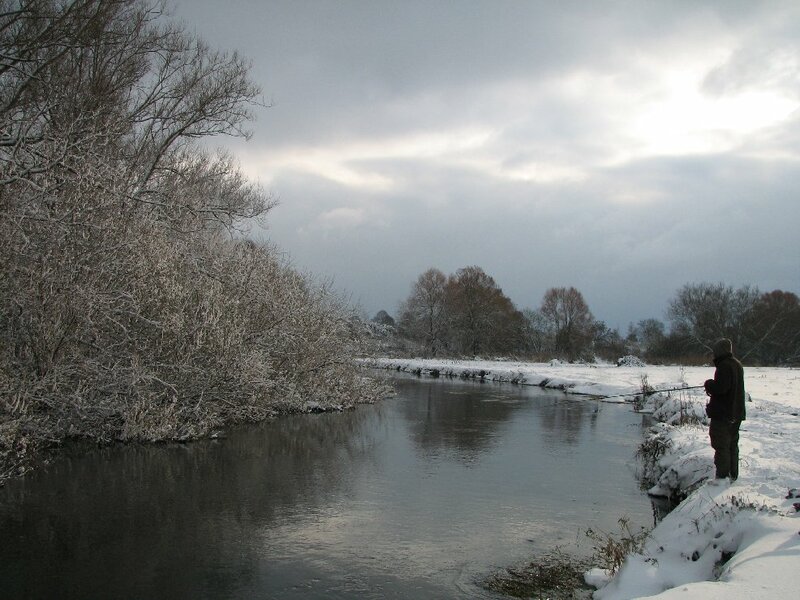 John is the river keeper on the Somerley estate and writes about his days on the the river. There is plenty of information on the wild life and particularly fishing. I’ve read a few things from this site before. The photo’s are very good and if you click on them then they do enlarge. the diary goes back 5 years or so and does make interesting reading. If you are a member like me of Christchurch AC and fish the estate then it’s a mind of information and can keep you updated with what is happening. This is one of his photo’s. I know where this swim is and it’s a fantastic swim. There are large barbel and chub that lie up under the far bank side willows. In the summer you can feed the hemp in and get them really going, however put a line in the water and they fade back under the branches. It is from this spot where I saw the largest chub that I had ever seen. It went up twice through the weed in front of me, only for it not to return again. What a photo John and the perfect swim too! This entry was posted on Sunday, June 12th, 2011 at 3:09 pm	and is filed under Uncategorized. You can follow any responses to this entry through the RSS 2.0 feed. Both comments and pings are currently closed.